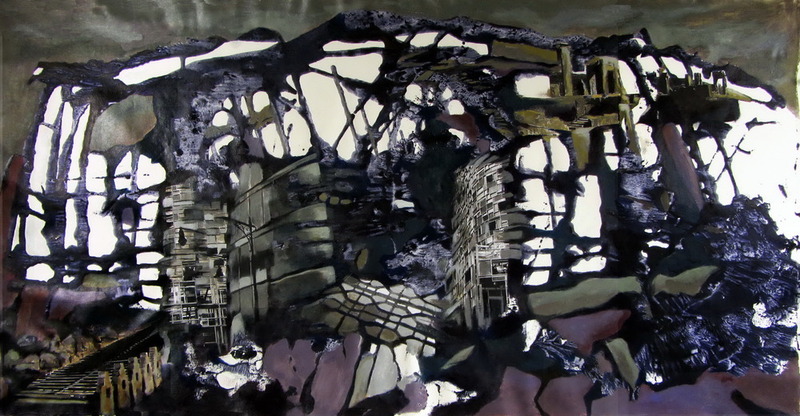 Zahra Nazari was born in Hamedan, Iran to a family of architectural enthusiasts. Her brother is an architect and her father frequently brought her to architectural dig sites to admire the ancient history and artifacts. 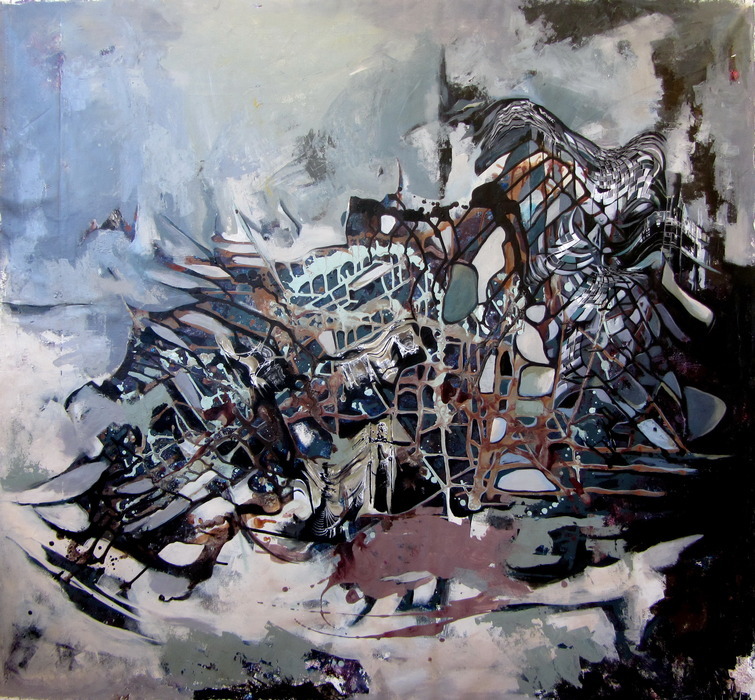 Throughout her entire life, she has pursued a career as a visual artist on the foundation of this inspiration from her youth. 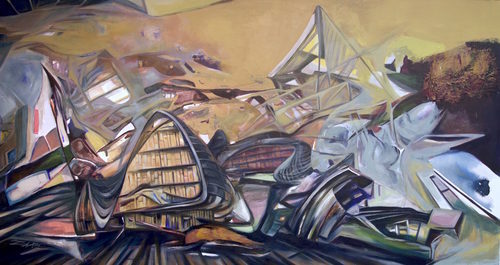 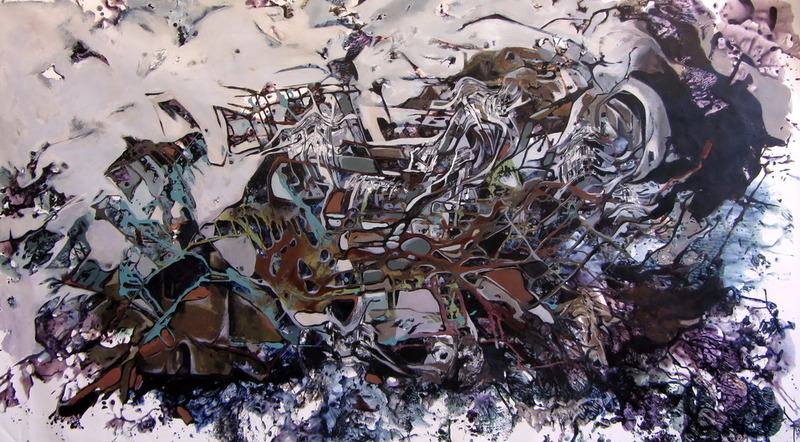 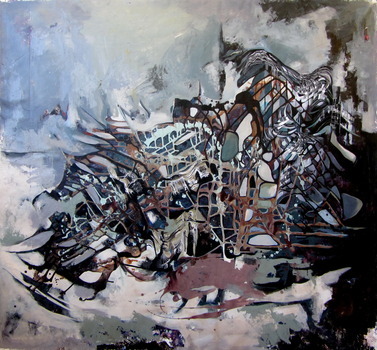 She left Iran in 2011 in order to pursue her master studies in art in the US. 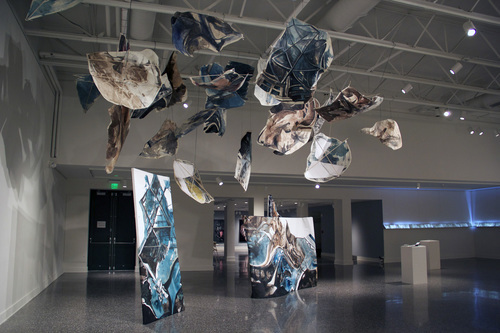 She has since traveled the world to take inspiration from architecture in many other cultures. 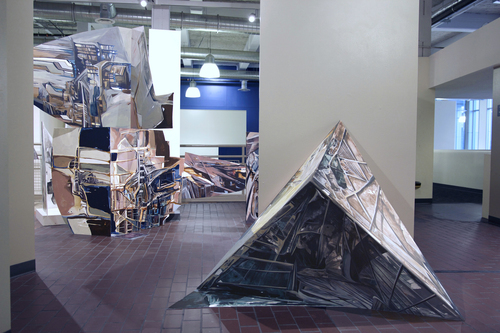 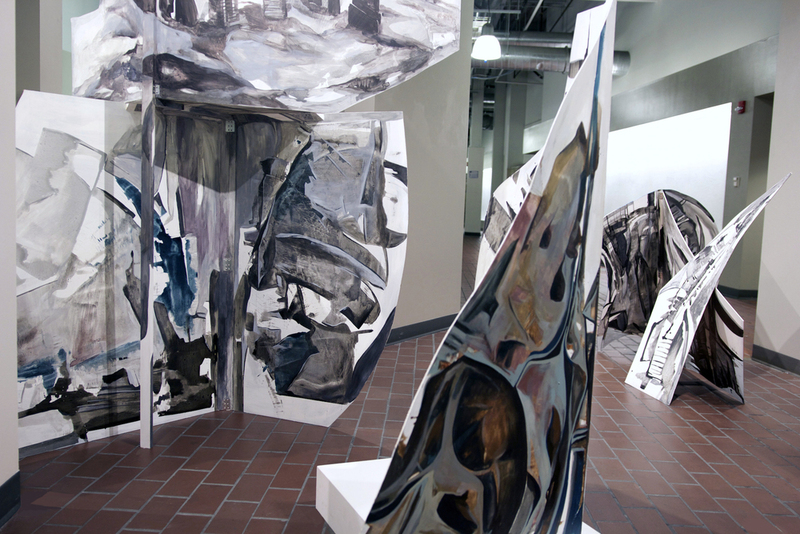 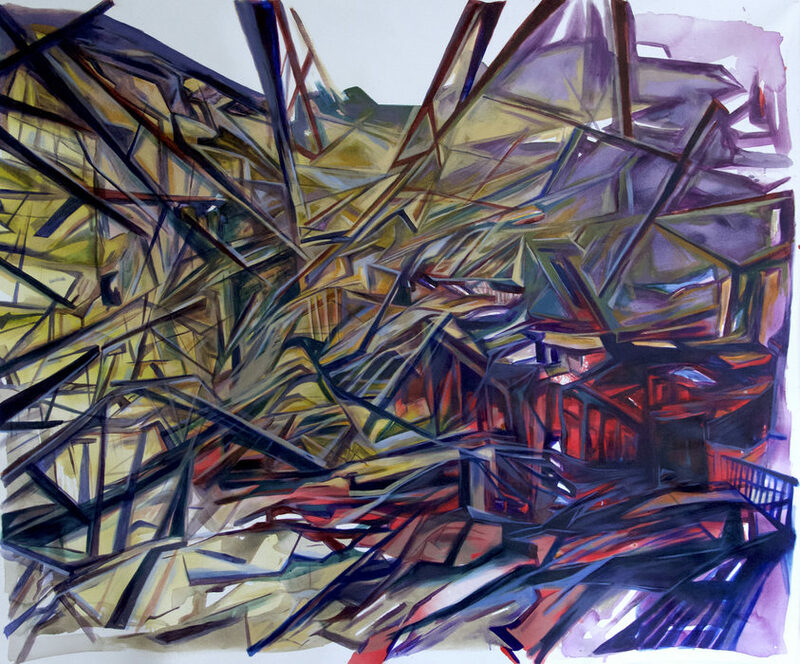 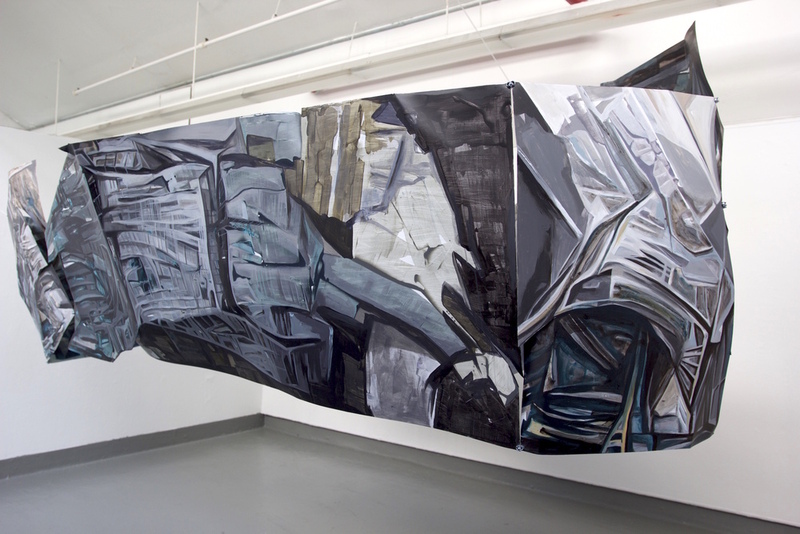 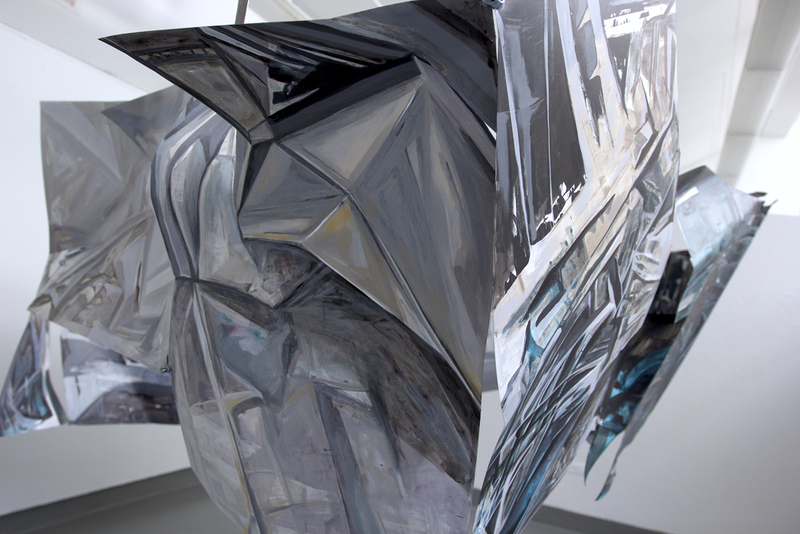 Her large-scale abstracted architectural paintings are formed by ideas about identity, immigration issues, and how globalization is changing our perceptions. She has given artist talks and participated as a panelist at institutions such as NYU, Columbia University, and Pratt Institute in New York City. 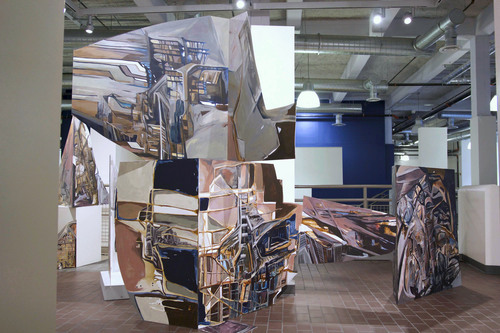 She has been interviewed by and published in Hamptons Art Hub, ZH Magazine, Hyperallergic, and many more. 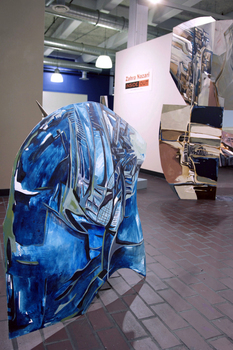 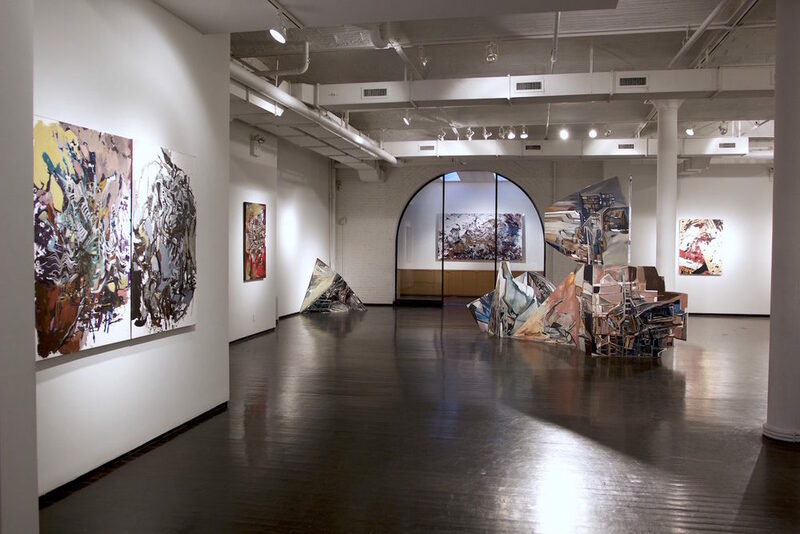 Her work is included in private and public collections throughout the US, Canada, and Asia. 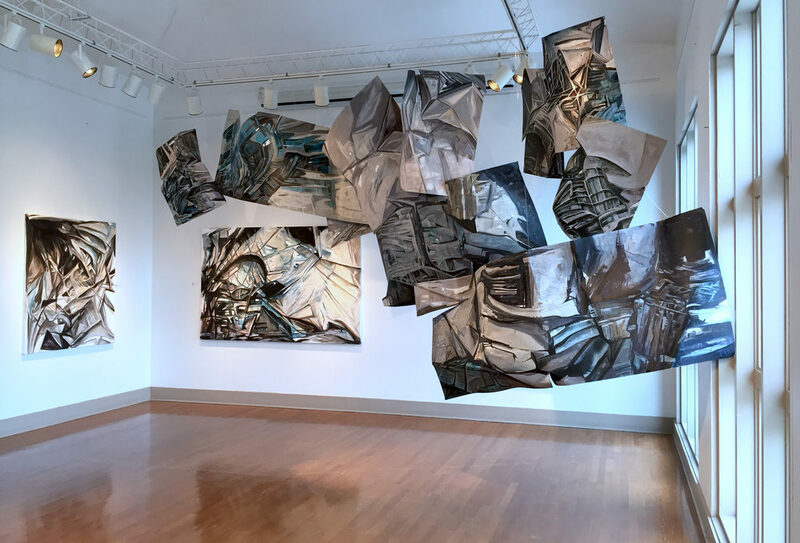 She had been a recipient of The AIM Fellowship from the Bronx Museum, The Mentoring Program from New York Foundation for the Arts; a Visiting Artist Fellowship from Massachusetts Museum of Contemporary Art, The Cooper Union School of Art in New York City and Vermont Studio Center. 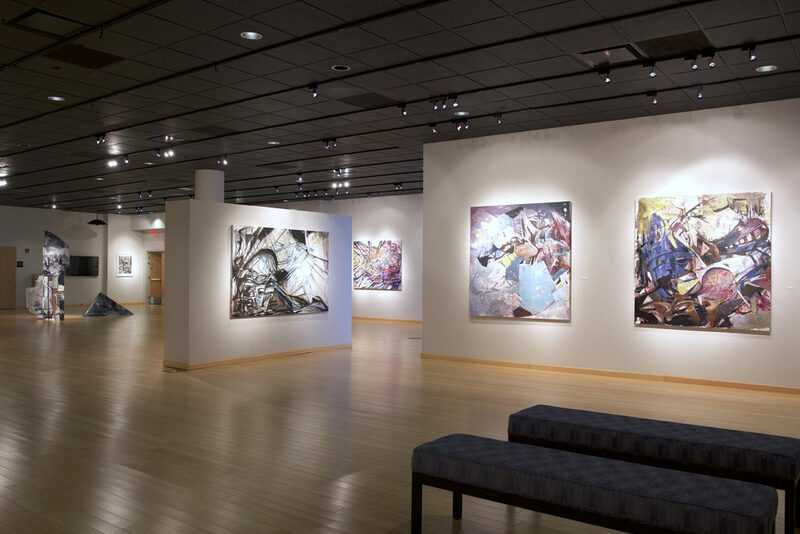 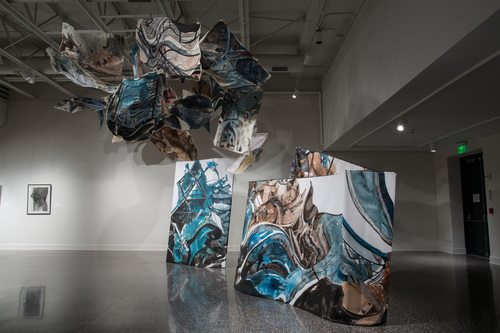 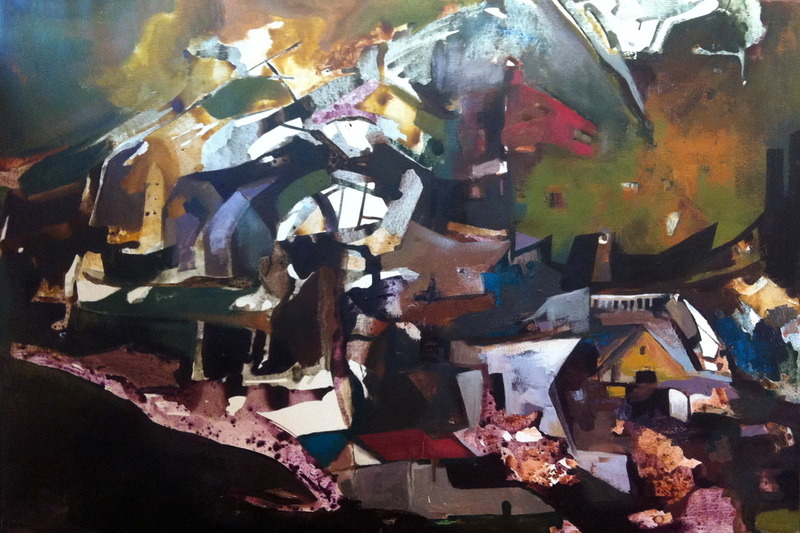 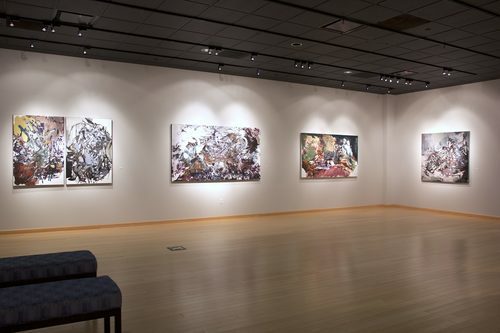 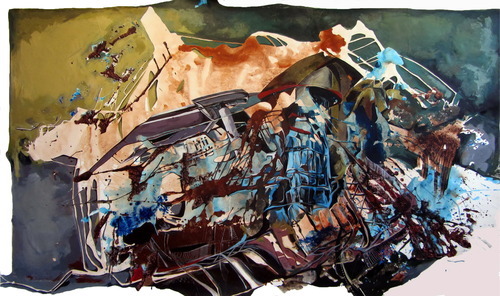 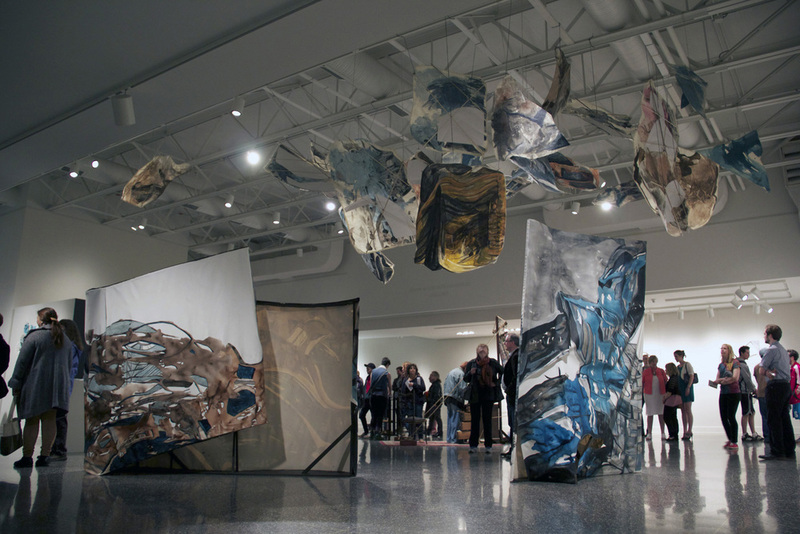 She has exhibited both nationally and internationally in galleries and museums such as Bronx Museum, NY; China Millennium Monument, Beijing, China; Samuel Dorsky Museum of Art, New Paltz, NY; Saba Institution, Tehran, Iran, and the Spartanburg Art Museum in Spartanburg, SC.